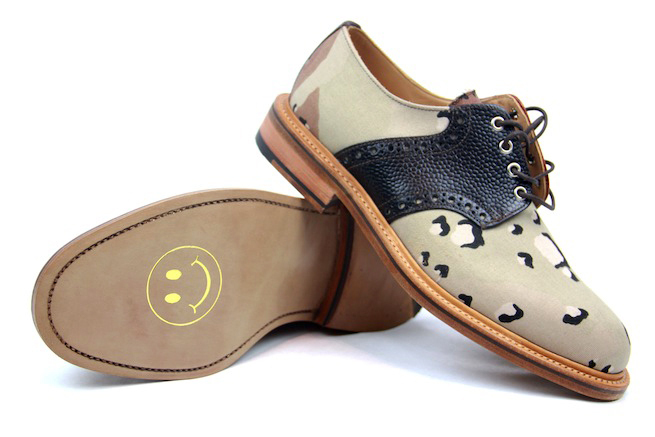 McNairy is back with this desert camouflage option to satisfy your insatiable hunger for dress shoes that go against the norm. You might remember the woodland camouflage option he came out with a month ago. These shoes are available (phone orders only) at Standard ATL for I’m assuming around $395; the price of the woodland ones. If Footjoy(golf shoe company) made camo FJ Icons, I’d totally buy em.